Sprays of roses with lacy patterns. The kits have large scale black and white charts printed 10 stitches to one inch. Half the design for the table runner is printed on an A3 sheet. 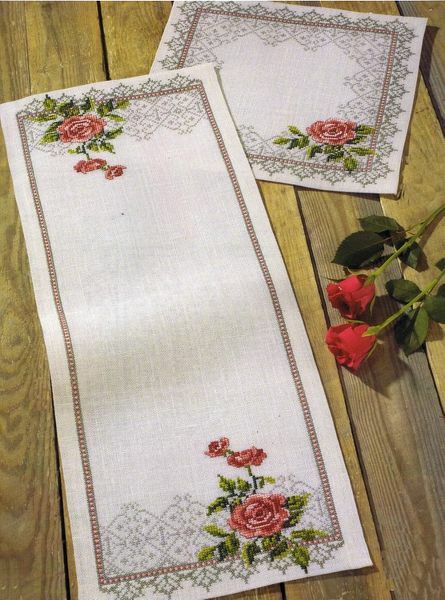 The pattern is worked in whole cross stitch and backstitch using 10 shades of stranded cottons - the runner over 90 by 270 stitches. needle, chart and instructions for stitching and finishing.